Our process at PTF starts at our fully-integrated Immersion Pretreatment Line. It hosts a computerized 8-stage chromate conversion process, along with the custom two-ton hoist system, controlled with a sophisticated Random software. 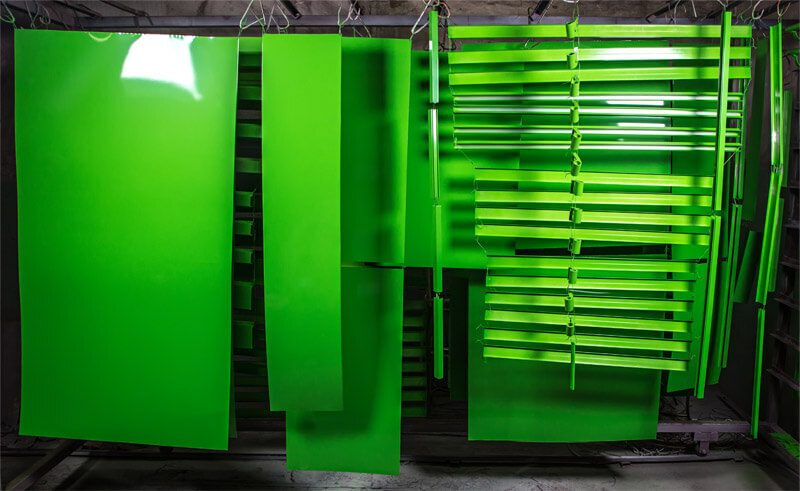 With our large-capacity immersion tanks and years of learned techniques, we make sure that every recessed area is properly cleaned, allowing the coatings to properly and permanently bond to the base material. This line has been carefully designed to eliminate the possibility of human error, as well as increase our speed and efficiency, producing reliable and uniform results batch after batch. We prefer this method over inline spray washing, which may result in missed nooks or cavities, that, or even cause poor adhesion. 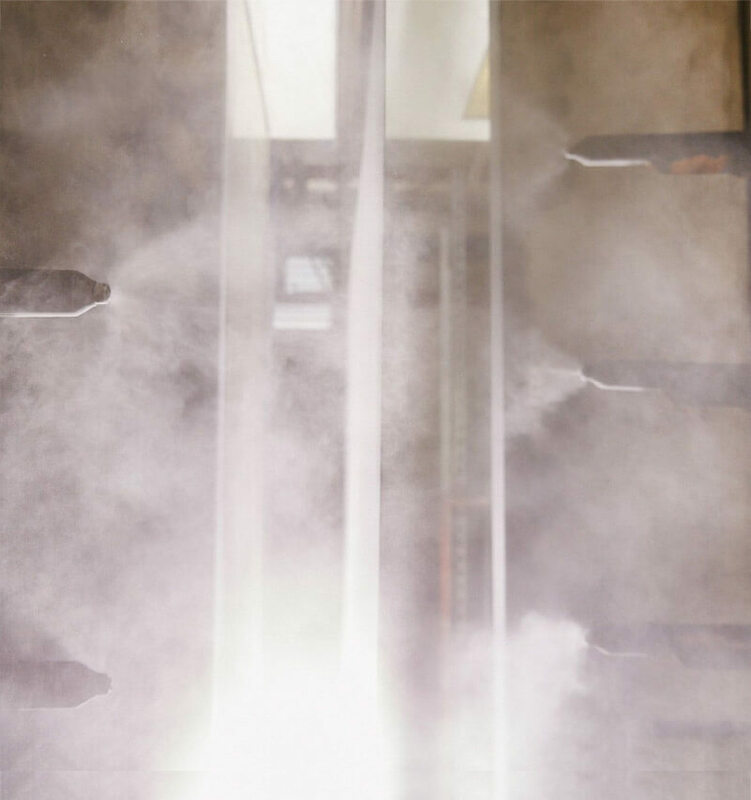 The liquid and powder application lines are unique to PTF, with specially-designed and outsourced equipment–truly cutting-edge technology. For instance, we house the only compact extrusion coating line in North America. We’ve also recently installed a high-production application line, one of a only a few power and free conveyor lines in the country, and the only system of its type that we know has been implemented in recent years. 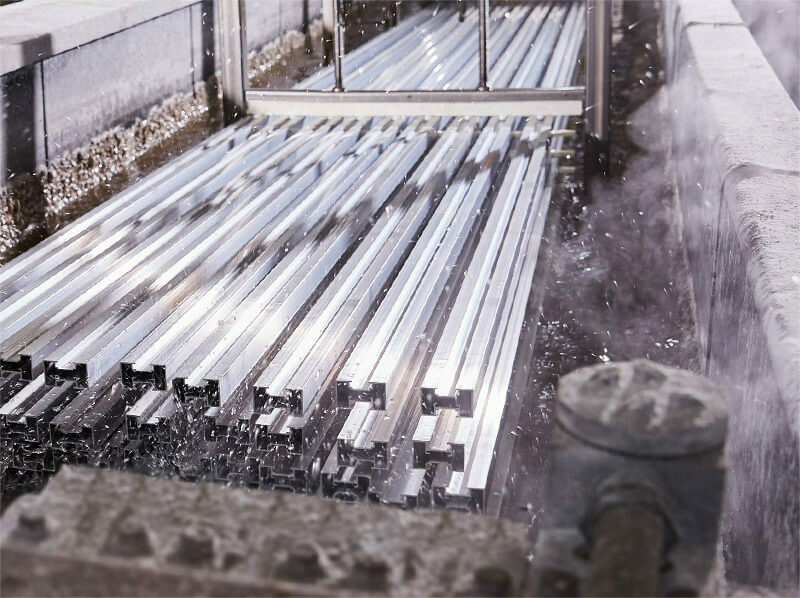 Our European power and free Kynar line is a hybrid, with seven inline booths to apply primer, color and a clear coat in one pass–without the need to run the product through a few times, like most of our competitors. This impressive machine is equipped with PLC-controlled rotary atomizers, as well as a fully automated, computerized, fast color change system and paint kitchen, all enclosed within our environmental clean room. PTF has taken every step possible to ensure a high-quality, smooth, uniform, durable, and attractive finish in every project we take on. The Sublimation Department at PTF is home to our exclusive Sublime Color Collection line. Our unmatched facility allows us to sublimate full color graphics into a base powder coat finish at an incredible production rate. This system consistently reproduces the natural texture and grain of various types of wood, as well as marble veins, granite, and other graphic designs. It allows for the simultaneous combination of strong protective coatings with unparalleled quality surface textures, fusing value with practicality. PTF has the only continual-production sublimation line in the continent to date. 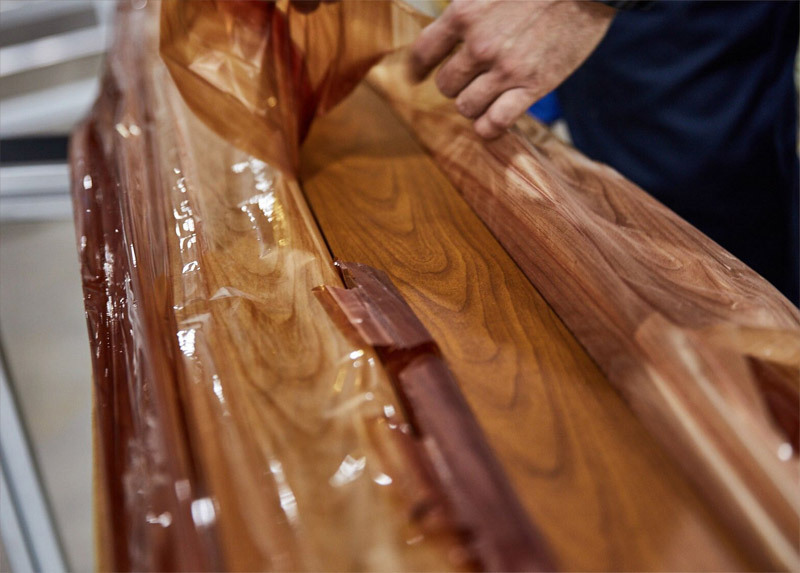 Most of our competitors still use a batch-style system, which allows them to offer similar finishes, but usually at a slower, more expensive rate. We prefer the competitive advantages of the sublimation process, which offers faster, longer-lasting finishes at a much lower cost. Our Batch Operation caters to large products and parts, as well as small production runs that don’t meet the requirements of our conventional production lines. This department has the capacity and capabilities to coat products that occupy up to the maximum dimensions of 10’ (H) x 10’ (W) and 24’ (L). This manual coating operation offers additional benefits where part configuration can be a challenge in our automatic methods. 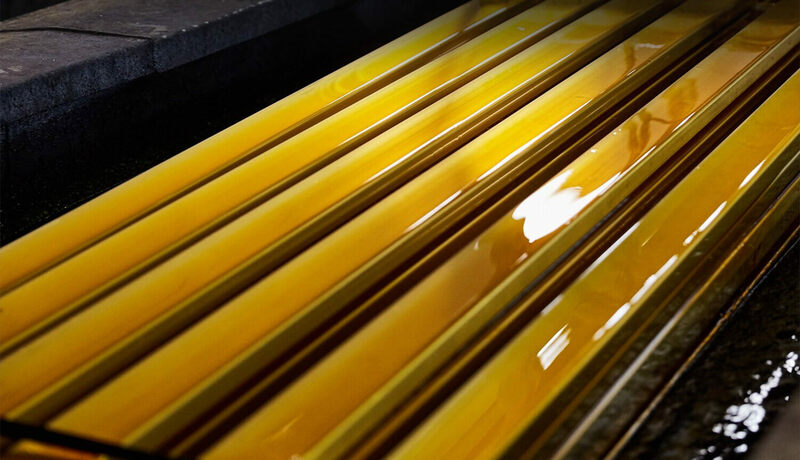 Our batch operation boasts a superior coating coverage on some products, and the ability to fuse coatings together by preheating, as is the case for thermoplastic coatings. Make the responsible choice in industrial coating when you choose us.